You’ll feel lucky after reading this. We’re celebrating Friday the 13th with black cat luck and sharing a big, dark secret. On the last Friday the 13th, in May 2016, we announced our upcoming Black Cats Tell All project. Someone might say it was unlucky to do so given what happened. A hell of a lot of awful things happened last year and I don’t mean the election. Most of which I have not blogged about, but not once did I think black cats were to blame. If anything, I feel blessed by a small but hugely supportive pocket of the black cat community and my own black Cat Clyde in ways that make every obstacle surmountable and holy Bast, it has not been easy. Nothing could have prepared me for the toughest year of my life. I doubt I’d have launched the Black Cat project if I knew in advance what a mammoth job it would be to complete two grueling crowdfunding campaigns last summer. Then to orchestrate the production of a book and calendar, maintaining two blog and social media schedule with three email accounts, three Instagram, three Facebook, two Twitter, one Pinterest, G+ accounts and partridge in a pear, while battling a serious illness. Not to mention making radical lifestyle and dietary changes while learning how to get blood samples daily from a diabetic black cat. It’s felt like herding cats on acid; wrangling over 80 amazing cats and their photos or stories, daily troubleshooting tech and other issues, but not once did I consider myself unlucky. We donated a bunch for a fundraiser and one very generous contributor purchased another bunch. Other sales dribbled in slower than anticipated but it’s okay. I’m back on track to complete the book and just saw the preliminary layout. The designer did such a stunning job; I’d cry but I’m too exhausted. I refuse to make any more promises but the book will be beautiful and published sooner than later. After some promotion, the book will have a life of its own to succeed or fail. I’m very fatalistic these days. Unattached and Zen because I’m ready for my new life. I don’t know what it looks like yet but it will be very different from this one. It’s coming full circle. I began blogging in 2008 to build a platform as writer. Along the way I’ve helped many writers see their books published while mine sat in my head or drawer. I’ve enjoyed wonderful achievements but I lost my way and original purpose. It’s taken a layer cake of loss on top of loss, death and near death for me to wake up. Thank you to everyone who has helped in any way during this journey. Thank you to everyone who didn’t help. It’s all karma and guiding me to where I need to go next. For someone who likes to know the future ( I am a tarot reader) I don’t like not knowing the precise coordinates of direction but I’m cracked wide open. Much hinges on my health. I might need to disappear and retire, take a very long break or if I feel stronger, I might start a new business, do more advocacy, write a memoir, dust off a novel, who knows? I won’t know until after Black Cats Tell All: True Tales and Inspiring Images is published. Anything is possible and until then, I’m listening for signs, dipping my baby toe into new waters and waiting for rebirth in spring. .I rarely share my problems on Facebook because it’s time-consuming to field questions and thank people for their concern, be annoyed by platitudes or the ones leaving a comment just because it’s PC and worry if I”liked” every comment and wonder if I have the energy to return the favor. My close friends know how I am. Why does something bad have to happen to bring people out of the woodwork? Where are the friendly comments when things are really good or so so? The only place I do spend time on Facebook are in private groups learning or mentoring and my own under-nourished Black Cats Tell All community. That’s it for the personal stuff and now on to regular blogging. 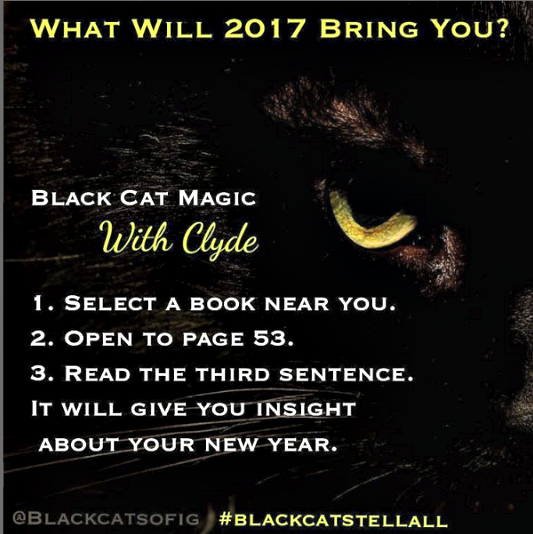 We’re doing a fun experiment with bibliomancy (telling the future with sentences from books) on @BlackCatofIG Join us there for further instructions or leave us a comment here. If you don’t have any books at arm’s length, pick one up at random from a book shelf. They can be on any topic but cat books are on point. This is a bad screenshot but good enough to play and forget all about Friday the 13th! From our Friday The 13th post on May 13, 2016 which started it all. I got so fed up with the negative Friday the 13th and other superstition about black cats, why not do a 180 and turn black to white, a negative to a positive? Most people don’t even know the origins surrounding the number 13 anyway. Some think it stems from the betrayal of Judas the 13th disciple of Jesus but long before Christianity, Norse mythology had a similar dinner guest, the Norse god Loki. If you want to explore the negative and positive qualities of the number, enjoy 13 is also a mystical and magical number in mythology, the occult, mysteries and ancient history. It goes to show there is no end to sources of superstitions so I say, let’s turn Friday the 13th into Lucky Black Cat Day. Black shelter cats who get adopted today will feel very lucky indeed. I love Friday the 13th. I think Mao, the tux, also does. We had a great black cat, Kemal, once upon a time, long ago. I had to be at my work that day…and well, I am not a 13 hater at all…in fact I am born on a 13, my mother was too…the exact 13 years earlier by the way…my hubby is a thirteen, a lot of my friends and good acquaintances are…my mother in law was a 26 which is 2×13, so is Pipo! 13 is a great number!! I love it! Now for a black kitty?? I did see one while driving out in the countryside today…Pipo is a sealpoint…so he has really dark ‘socks and mask, does that count?? MOL! Nope I am not superstious, and I don’t think I could ever be…all days are gifts of God to mankind and He holds all under His control…and we will learn from all that happens be it the good the bad or the ugly…and yes, I have experienced more than my share of the bad and ugly in my own life. I go to my work in the nursing home and see all kinds of more bad and ugly…but I try to spread cheer and goodwill and many smiles as I go about my arduous duties. And I enjoy blogging and reading all about kitties and pups and what they are doing! It is one of my stress relievers! Oh-Oh! I have ranted here, sorry…..I do enjoy reading your blog too…and I hope Clyde has a wonderful birthday catabration. I have to work that day…now mostly I never work Wednesdays, go figure, MOL! Huge thanks for your loyal support. It means the world to me. Love the top image. I guess everyone wins 🙂 I had a bit of health issue myself in 2016 but I manage with lots of vitamins. I wish you a good health, and lots of good things coming your way! We’re sorry you’ve had a rough year and hope your health issues are now under control. Love what your doing with black cats and wish you every success in 2017. Sorry I am so late to visit this post. I wish you well in 2017. I feel certain good and healthy and loving things will come your way in 2017. You are always so giving — like a cat — that I’m sure it is your time — way past due you — to have the love come back to you. Our two boyz, and especially our black and white one, give you all their love, too. The circle comes round again and we start anew. We purr and pray that all that are in need of rebirth may find the path to it and all those that have a need may find the answer for it. We will find our way again. We don’t get into the social media frenzy, we simply don’t have the time and not much desire to. We would love to check out more cat pages and sites but we have too many of our own to take care of so we simply cannot do it. You have had your hands full this year! 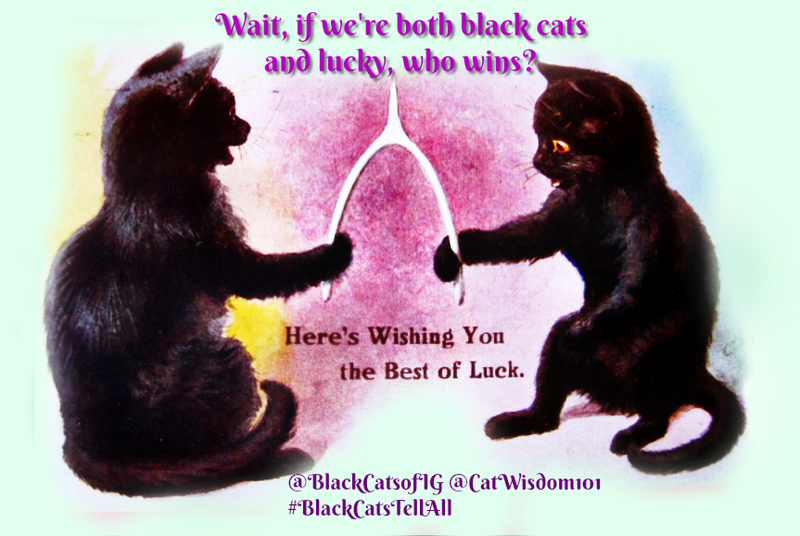 It has been wonderful to see your black cat community blossoming. Best thoughts for you as you “herd cats on acid.” If anyone I know can do that while juggling chainsaws, it’s you, Layla. Hang in there. Oh dear. 2016 was the year of poor health. Wishing you better health in 2017 and to find the direction your heart leads you in. The ebb and flow of life truly does run the gambit – from being scary, to exhausting, to exhilarating and everything in-between. I wish you a year and beyond filled with good health, peace, and contentment. I’m sure the book will be a winner – it’s a subject matter that is close to the hearts of many. Life can really be tough at times. I’m so sorry to hear of your bad year this past year. I’m always the eternal optimist and believe that things are going to be better, but I, too, wonder how much more I can handle. I will have a new life this year due to an unexpected retirement, but I’m going to believe better things are coming. I pray for this for you too. I’m sending purrs and prayers for you. Can’t wait to review you book. I had heard somewhere that Friday the 13th is not necessarily bad luck — Friday is good luck, 13 is bad luck. So Friday the 13th is confusing luck. Similarly, cats are good luck, black is bad luck, so black cats could go either way. The Italians are more scared of 17 than 13 (17 = XVII = VIXI = I lived = I am no longer living), and both February and March have a Friday the 17th. That’s so interesting about the #17! I love learning something new. Thanks. I am hoping whatever heathwise that is happening resolves itself or you find some relief. I do hope you dont go, but if you have to that it brings you back renewed and rejuvenated. I guess I am being a bit clingy, I would miss you, I would miss Clyde and I would miss Merlin. Your readers will be here when you return. If you need anything within my power, pucker up and whistle. Peace be with you during these changes. Great about the calendar and look out for someone named Tara in your future. By the way, I have 7 black cats, long hair and short hair in the outdoor clowder of cats and kindle of kittens at this time. 😉 love each and every one of them. Like Jans said, no need to like but read. Hoping the health issues get under control. And I also do not comment much, only when led to do so. Please take care of yourself, 1st and foremost of importance. Very interesting reading about 13. Isn’t it also called a Bakers Dozen. Black cats have always been my favorite. ( my other kitties don’t know this). Thanks, I am taking care but clearly not enough 😉 Yes, baker’s dozen can be 13 or 14, any surplus above 12 to avoid being taxed in 12th c. England. I am looking forward to the book! Take care of yourself. Sounds like a transitional year for you. I’m happy to do a reading. Email me and we’ll work out details. 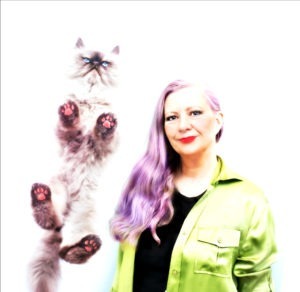 We’re not superstitious and Jan loves black cats as much as any other. You have had a rough year! So hope things are turning around for you, particularly your health problems. We don’t always get to leave a comment and you don’t need to “like” ours – just read it. 🙂 Be well and happy in 2017. Oh, and BTW, hang in there. Oh, that perfect given that it’s winter 🙂 and thanks, I’m hanging. Kata, it’s so sweet of you to stop by. Your support on IG and for the project has made all the difference in the world.